Exclusive Video: Meet The Brand New American Idol Judges! 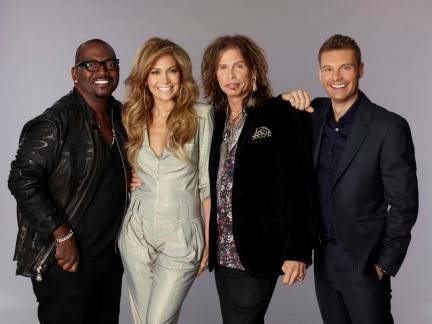 FOX unveiled some of the first promo shots and videos of brand new American Idol judges Jennifer Lopez and Steven Tyler with Idol vet Randy Jackson and host Ryan Seacrest (see above) for their 10th season of the talent discovering television show. From what I saw the trio seems to give a much needed breath of fresh air to the show. J. Lo and Aerosmith front man, Steven Tyler, have not see a trillion auditions year after year so they seem fresh and excited to help make people's dreams come true. Randy Jackson never really seemed like he wanted to be mean either so hopefully they will influence him to keep being positive. I think it would be nice to see them not make fun of people like the show is infamous for. It's just mean and I NEVER liked watching the early auditions. It was annoying for them to say "Who told you you can sing?" I just wanted one contestant to say, "Well your producers did when I had to go through 5 auditions to get on T.V. and in front of the judges." I feel like people are getting tired of MEAN and need a bit of inspiration. I hope Idol will stick with the stories of hope and stiff competition with amazing singers rather than waste people's time and embarrass them. All I am saying is that if J.Lo told me I reminded her of herself when she was singing in the Bronx I would be perfectly fine not winning (as long as I made top 12 and could go on tour)! Let's be honest, every time I ride the 6 train I think I am her going to an audition or something. Check out clips of the new judges in action and what some of the new contestants have to offer. 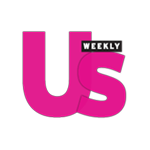 American Idol moves to Wednesdays and Thursdays beginning with a two-night premiere event Wednesday, January 19, 2011 (8:00-10:00 PM ET/PT) and Thursday, January 20, 2011(8:00-9:00 PM ET/PT) on FOX. OMG! Let me say that I started salivating when I heard J.Lo was going to be a new judge. I jumped off the AI crazy train a long time ago, but I am ready to let my freak flag fly again & all thanks to Jenny from the Block! I feel the same way! I was not a huge fan of J.Lo in the early days but now she has grown on me and I really do love her!